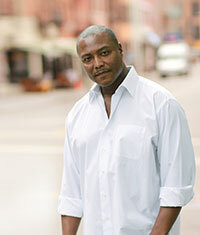 Anthony Graves was wrongfully convicted of multiple homicides in 1992 and spent nearly two decades behind bars, including twelve years on Texas’s death row. While still in prison, he cofounded Join Hands for Justice, a France-based activist group that led global efforts to prove his innocence. Graves’s conviction and death sentence were overturned in 2006, and after four years of legal wrangling, he was fully exonerated and released in 2010. Since then, he has become a full-time advocate for criminal justice reform, testifying to the US Senate about the harms of solitary confinement, serving on the board of directors for the Houston Forensic Science Center, and working with the ACLU’s Campaign for Smart Justice. Graves speaks widely and runs the Anthony Graves Foundation, which works to draw attention to problems within the American criminal justice system. He lives in Houston.